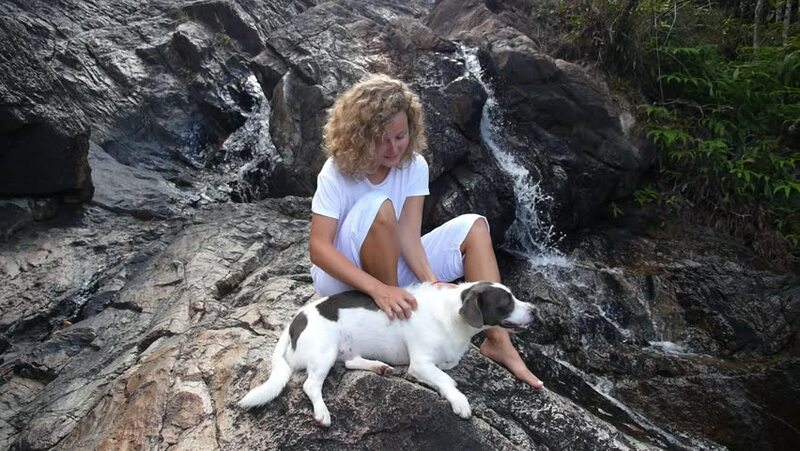 Young Woman Sitting With Her Dog At Waterfall. Slow Motion. HD, 1920x1080. hd00:08Little beautiful girl walks on Velika Paklenica. Paklenica karst river canyon is national park in Croatia. It is located in Starigrad, northern Dalmatia, at southern slopes of Velebit mountain.